We had a really memorable night at The Prince Albert on Sunday. Such an intimate show with a small but incredibly friendly crowd. I always knew this was a great lineup of musicians, but I was blown away by the performance. Anyone who gets the chance should try to see Jason Steel, Vio/Miré or Mute Swimmer play live. I’m so excited by the next show. I genuinely don’t know exactly what’s going to happen. 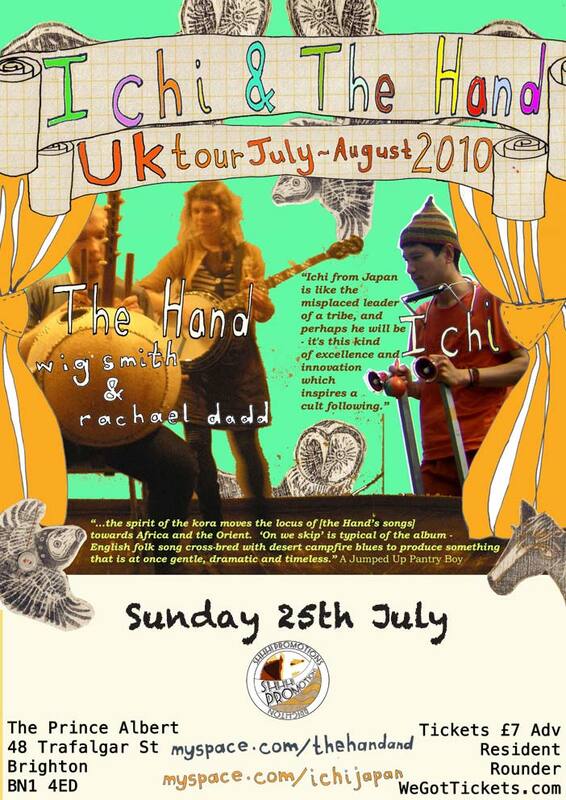 I’ve been told that Ichi is a surprising and unique performer; Rachael Dadd and The Hand are always different; we might even have a surprise guest performer, but I can’t say for certain. It’s going to be a fun night. You are currently browsing the Shhh! Promotions blog archives for July, 2010.